It may sound like an Orwellian nightmare, but the technology to implant RFID chips into human beings and track their every move has been there for years. RFID stands for radio frequency identification, and uses electromagnetic fields to automatically identify and track tags attached to objects, including an implanted chip. A growing conspiracy theory claims we will all soon be chipped through vaccination programmes and at birth, or be forced to have a contactless microchip instead of money. As with all conspiracies, there are variations on the theory and they vary in extremeness. At the bottom end is the claim that world governments will phase out cash so the only way you can buy anything is with an implanted chip that can then be used to ID and monitor you. Next up is the theory that the chips will be secretly implanted into children and some adults through vaccination programmes. The most extreme claim ties in with religious conspiracy theorists. They have said the implanted RFID chip will stand for the Mark of the Beast as referred to in the Book of Revelation. Again, all humans will be forced to take an implant, so those in power can know our every detail and monitor our every move. But, it's those in power which is scary part. According to the mark of the beast theory the Illuminati, or New World order (NWO), as it is also known - an alleged secret organisation that actually runs all the governments - plans to implant us all. In an article about the conspiracy, it said: "What is presented on this page is not fantasy, or our idea of something that could happen in the near future. "Every item here will tell you about advances in technology that either are in place, or in the end stages of development and about to be released. "Every item here will show you not only the plan, but the actual tools that the NWO has in place to track you right now at this very moment to monitor you, and control you." It said it would be a worldwide system that collects and gathers information, and ties it in with personal records of all kinds. It added: "This will culminate in a chip, implanted in your body, that will personally connect you to the system. Last year former Whitby town councillor Simon parkes said there was an Illuminati plan to inject us all with RFID through vaccinations. "Today you see that information is already being collected when you use your debit card, the loyalty card at the supermarket, your car has computer chips that enable it to function - everything is controlled by a chip that feeds the information to various databases around the world. Even the Internet itself is part of this system. "We have become a worldwide, connected society whose every move is being tracked and cataloged. For now, it's all voluntary, and the New World Order has to reply on making cool devices to lure us in to wanting to be tracked - iPhone, smart phones, RFID chips - but the day is coming where you will be forced to have a chip put inside your body. Scientists have experimented with RFID implants for several years. In 1998 the British scientist Kevin Warwick had an implant to open doors and switch on lights, which was removed nine days later. 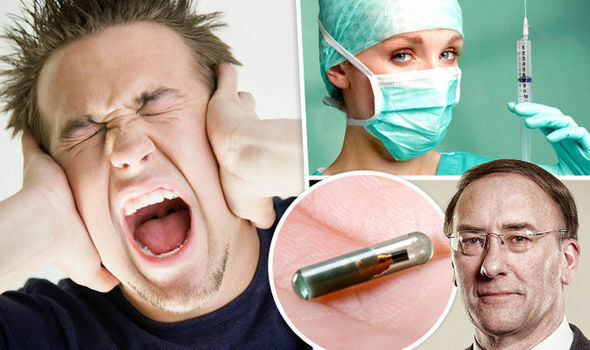 By March 2009 British scientist Mark Gasson had an advanced glass capsule RFID device surgically implanted into his left hand. His implant was infected with a computer virus, and he used it to infect other computers. There implants are used to locate missing pets, and there has been much debate about the value of using them to find missing people or fugitives, but with that comes all the concerns over privacy and repression. There is also talk of storing people's medical records on an implant, in the event they are found unconscious or unwell, or to use them instead of phones or contactless card payments, or for security so that only certain people with chips could enter a building. But a cancer risk has also been identified with the chips so there are no overt plans to roll out the system. Debunking website, thatsnonsense.com has rubbished all the conspiracy theories surrounding RFID chips. 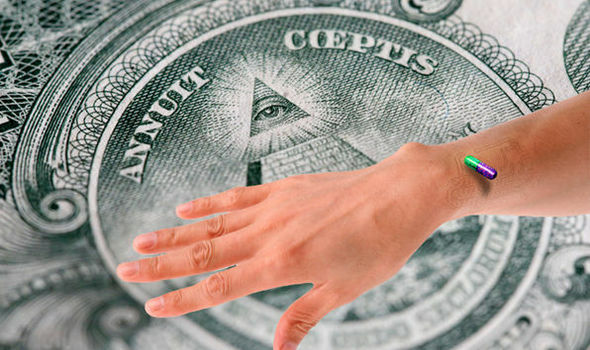 The website said online rumours are circulating that all American citizens will be microchipped with RFID by the year 2017 and this has been confirmed by NBC News. It said: "The theory that the American government is actively looking to implant Americans with RFID tracking chips to help control the population is a long running conspiracy that is persistent as it is consistently baseless, lacking any evidence whatsoever. "We’ve written about these theories numerous times, including the claims that the Obamacare mandated that all citizens be microchipped by March 2012, (a later version claimed March 2013, and then March 2014), the claims that RFID chips were being put into Ebola vaccinations, and that all babies born in Europe would be microchipped by May 2014. "Needless to say, none of these rumours turned out to be true, and this latest incarnation of the microchipping conspiracy theory is equally as baseless." It's said the rumour appeared to be sparked by a speculative NBC piece from 2007, which looked at the possible future of fingerprinting, iris recognition and microchips to identify people.